One of my favorites. 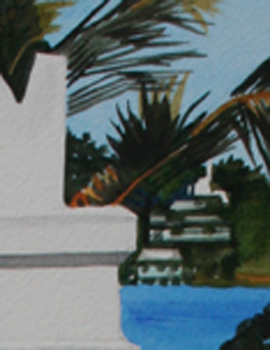 Each time that we strolled down to Long Bay, I would always notice a new painting the sun was creating with the brushes of the two nearby oleander and palms across the ridged roof of this cottage. It was perfectly set up as an easel to capture a different painting every moment, every day. 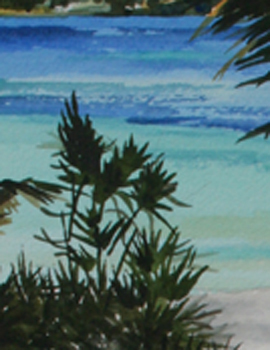 In pure watercolor, white is simply virgin paper and it has great potential if the artist is sensitive enough to listen to it and give it a chance. In this case, well over half the painting was not done by me but rather by the intelligence of the white untouched paper. 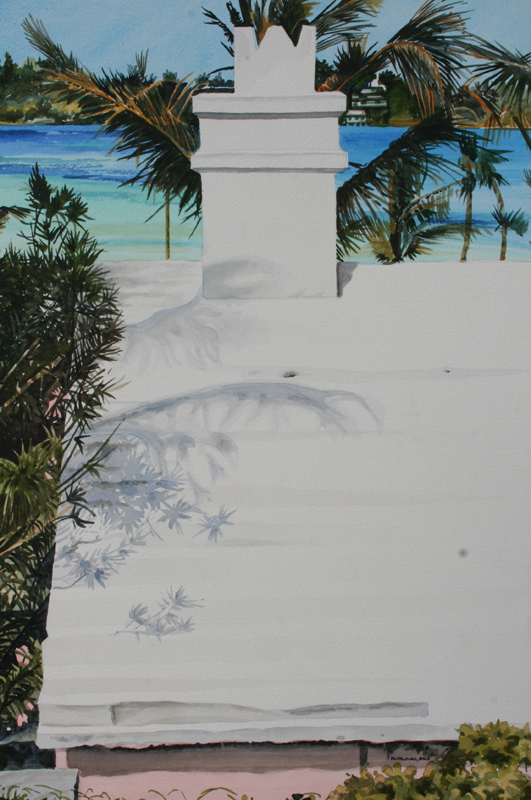 The exploding palm behind the chimney dramatizes that blank canvas and the subtle blues of the bay play color against negative space with deliberate accent.